A beachtown full of luxury Varadero hotels, resorts and since Januari 2011 also casas particulares. White beaches and a stunning turquois sea. You can find a lovely golf course in front of the hotel zone. 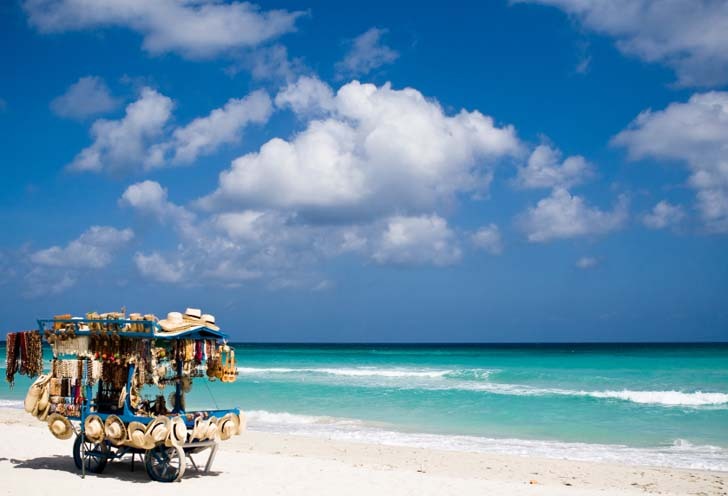 Varadero is soon becoming a real nice beach village besides its luxury resort strip. Many restaurants and souvenir stalls in front gardens are rising from the Varadero grounds as if they are mushrooms :) Varadero will be the Hip-Strip of Cuba soon!! The 19 km long Peninsula de Hicacos is connected to the main land with a lift bridge. At the end of the 19's some Cardenas families bought pieces of land and builded their summerhouses. 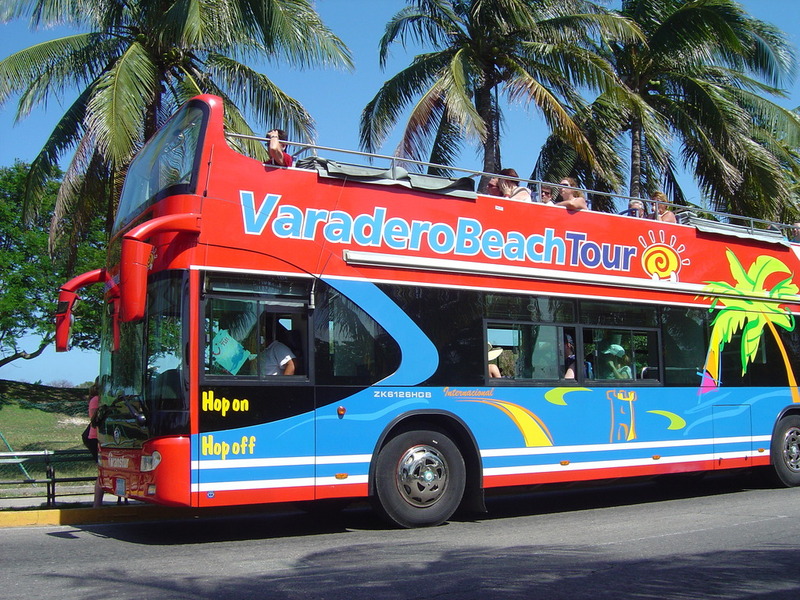 The Varadero beach became the center of the rich and famous. After 1959 revolution this area opened again for all kind of people. Its more than 20 km of excellent beaches, white a broad strip of fine, white sand along the shoreline, and a continental shelf that softly sinks into a warm, crystalclear sea of the most varied of blues, are the chief tourist attractions of Varadero, a tourist city that is presently well positioned in the International circuits. These natural wonders are enriched and complemented by the existence of numerous caves, cliffs, and lagoons. Also, pristine, easy to reach keys and other interesting natural surroundings on Varadero's peninsula easternmost tip, in addition to a set of cultural, historical, and environmental sites provided by the nearby cities of Matanzas and Cardenas and the Zapata Swamp Biosphere Reserve. Nice weather, little rain, and low humidity are among the conditions that make Varadero an ideal spot the year around. 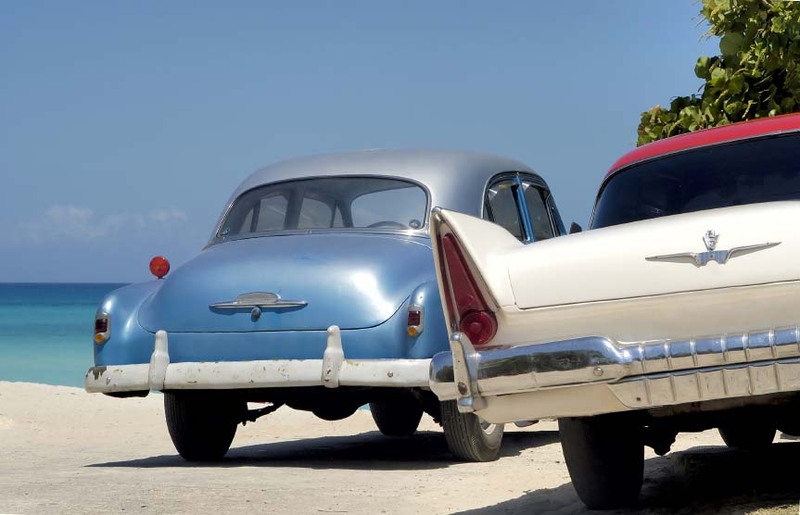 The city of Varadero which extends over 14.4 square km and has a population of approximately 8.000, accounts for 55% of each hotel rooms in Cuba and since January 2011 the casa particular will make Varadero an even more popular destination. And because everywhere is within reach in the city and resort, the visitor feels constantly invited to move around, be it walking along any of the 5 Avenues that run the peninsula: Kawama, Primera, Playa, Las Americas, and Autopista del Sur, boarding a tourist train, or driving a car, a moped or a bicycle, the open doubbledeck bus, or even taking one of these old, horse drawn coaches.